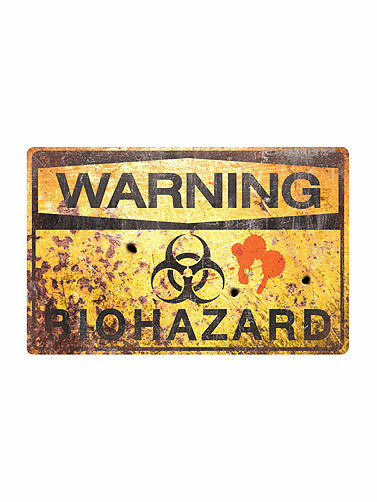 This horizontal Biohazard Warning sign looks official and is just what you need to authenticate your Apocalyptic scene. Distressed look with blood stains and bullet holes, this sign looks like it's been through a war, and is sure to add atmosphere. Biohazard Warning Metal Sign measures 11"H x 17"W.